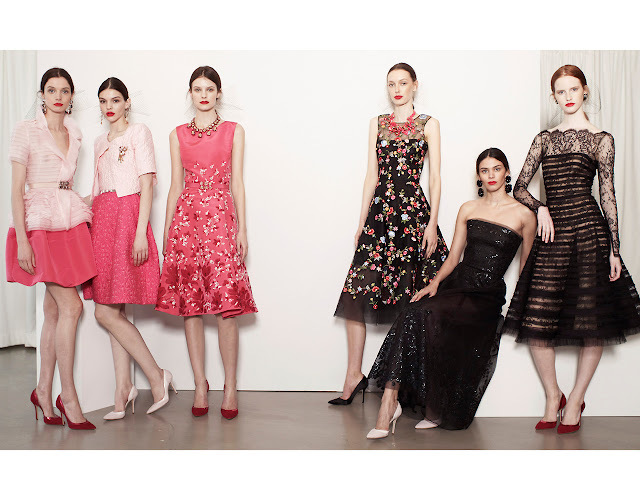 I had no intentions to travel this spring, but when I discovered the latest Oscar de la Renta Resort collection, I felt a sudden urge to embark on a lavish trip to Marbella. I was particularly drawn to his chic cocktail and evening dresses embroidered with an intricate assortment of beautiful flowers and foliage. De la Renta has created an array of colorful and ultra-feminine silhouettes with splendid silk, organza, tulle, lace, all adorned with delicate embellishments. The ladies who lunch will be swooning. I have my eyes set on the cobalt blue gown. What about you?